The Knicks and Mavericks have agreed on a large-scale trade, according to reports. The Knicks will reportedly send Tyson Chandler and Raymond Felton to Dallas, who will ship Jose Calderon, Samuel Dalembert, Shane Larkin, Wayne Ellington, and both the 34th and 51st selections in Thursday night’s NBA Draft to New York. This seems like a really good trade for the Knicks. First, let’s be fair and address what they lost. 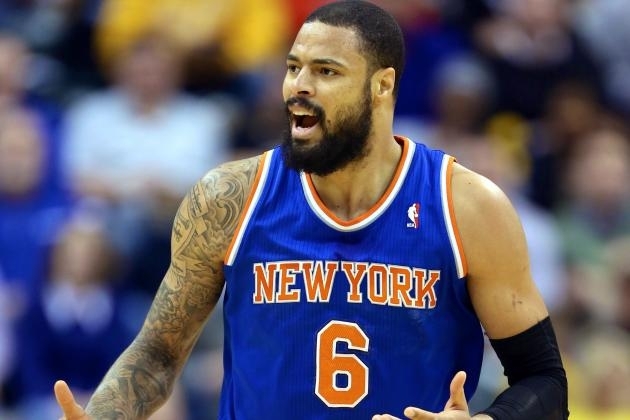 Tyson Chandler was our anchor in the middle for 2 years, before having a rough season in 2013-2014. Injuries and apparent lethargy made him seem like a shell of his former self. Dallas is hoping Chandler can bounce back and be the dominant force on defense and on the boards like he was in years past. Even if Tyson does return to his old form, Dallas didn’t get him for cheap. 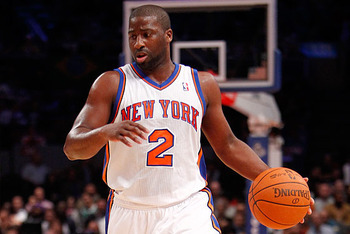 The Knicks also sent out Raymond Felton in this deal. The Knicks had been trying to dump Felton’s contract, so many will view this as another “plus” in the trade for New York despite the fact that they are losing a player. However, Felton was good in 2012-2013 before his disastrous campaign in 2013-2014, and at his worst, he is still a solid backup point guard. Still, the fans and management had turned on him, and he had to go. The writing was on the wall for Raymond. Now, let’s look at what Phil Jackson and the Knicks are receiving in this swap. 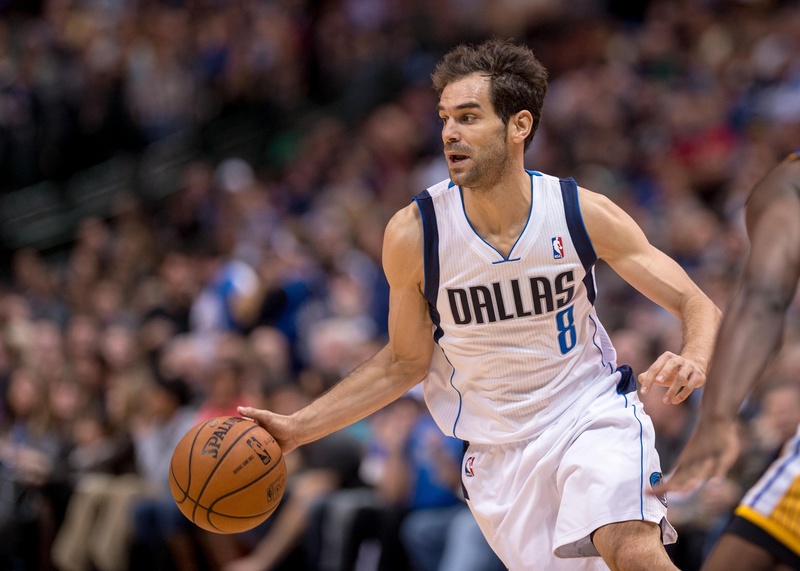 Jose Calderon is a solid point guard, an immediate upgrade over Felton. Calderon is also a good shooter, making him a good fit in Jackson’s triangle offense. Calderon is not a good defender, but should be an upgrade over Felton on that end of the floor. 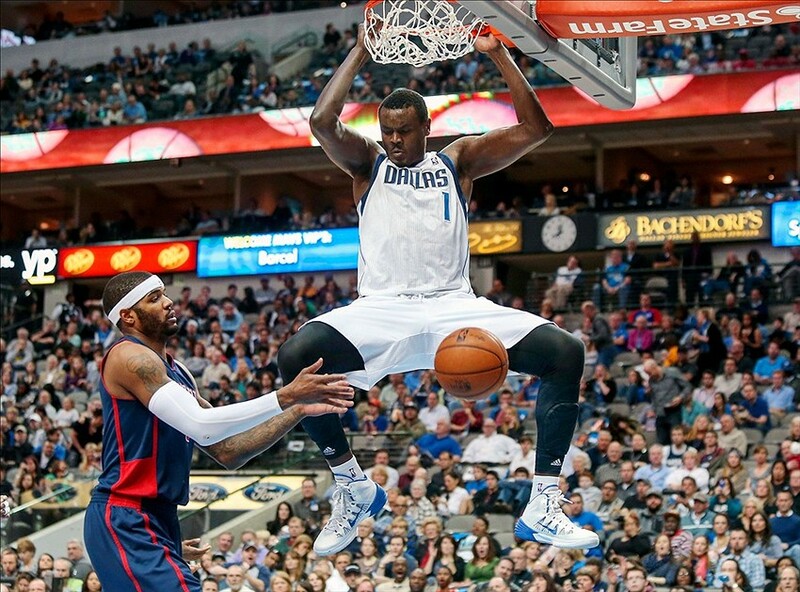 Dalembert is a very good defender and a solid rebounder, but very weak on the offensive end. In many ways, he is a poor man’s Chandler. His inclusion in the deal will help the Knicks replace Tyson, if Dalembert can stay healthy. Ellington is a good shooter and plays solid defense on opposing guards. He is a throw-in, but should be a good fit in Jackson’s system. Shane Larkin was the 18th overall pick in last year’s draft, and the point guard, as you may recall, was one of the Knicks’ biggest targets until he was drafted 6 picks before New York came on the board. Larkin is a promising player who should be able to contribute on offense, although his small stature will hurt him on defense, where a penchant for racking up steals is his only area of strength. And then, of course, the Knicks get the 34th and 51st picks in the draft on Thursday night. The Knicks could look to package the two picks for a 1st rounder, package 1 of the picks with the $1.4 Million they are legally allowed to trade (after having sent $1.8M to Toronto in the Andrea Bargnani trade) and upgrade that pick, or package both picks with the money to move up as far as they can. Of course, they could also use the $1.4M to purchase a third pick, or trade picks (and/or cash) for players. The Knicks now have some flexibility despite trading their original picks away. Now, for the salary cap. This trade clears room for the Knicks right now, but they are still over the cap. Even when a team is over the cap, being as close to the cap as possible allows teams to pull off more types of transactions (such as sign-and-trades) under the complicated “new” CBA, and Phil certainly got himself some more wiggle room with this deal. If the Knicks want to get under the cap this season and make a run at some of the big free agents, they will probably have to ship out guys like Bargnani and Amar’e Stoudemire. Going forward, this trade actually increases New York’s cap commitment because Calderon had a longer and larger contract than Felton, but instead of burning money with Raymond, the Knicks are now paying a quality point guard (who they can always trade, if need be). 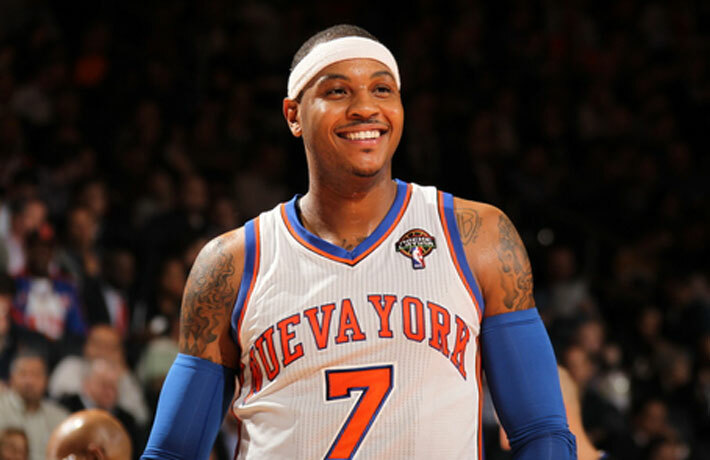 What does this mean for Carmelo Anthony? We’re not sure yet. This trade probably makes the Knicks better now, adds upside to the roster, gives them more room to make moves to improve in the future, and shows that, albatross contracts and foolish trades of the past be damned, Phil and the Knicks can, indeed, shake things up if they are so inclined. It remains to be seen how, if at all, this move and possible moves to come (as Jackson is rumored to be looking to continue shaking up the roster) will impact Melo’s thinking. This looks like a good trade for the Knicks. 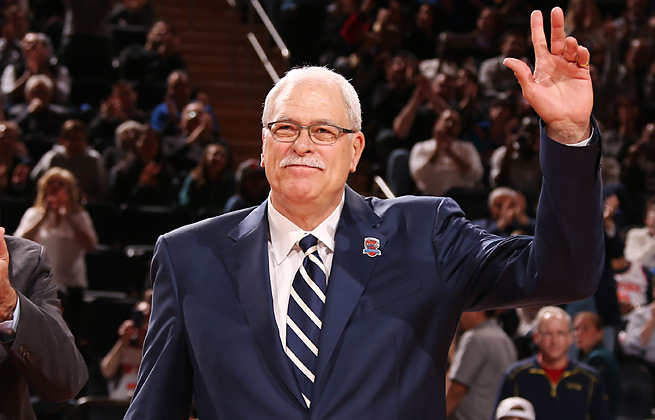 It’s not official yet, but the two teams are in agreement and, barring a major turn of events, Phil Jackson has made a big splash with his first real move as Knicks President. This entry was posted in Articles and tagged jose calderon knicks, KNICKS, knicks draft picks, knicks good trade, knicks mavericks, knicks mavericks trade, KNICKS MEMES, Knicks news, knicks rumors, knicks trade, knicks trade analysis, knicks trade chandler, knicks trade reaction, new york knicks, samuel dalembert knicks, shane larkin knicks, tommy rothman knicks, tyson chandler trade on June 25, 2014 by Tommy Rothman.